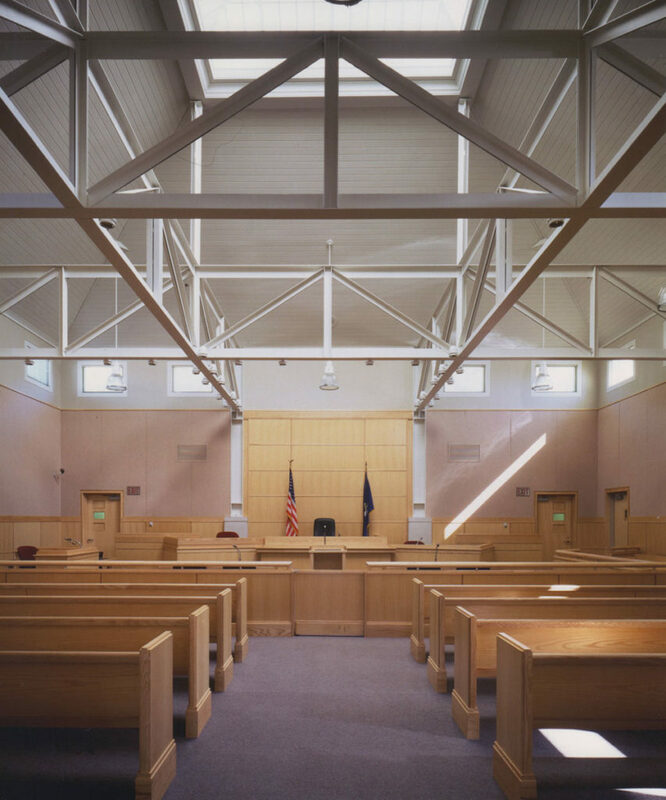 This small district court serves the Sagadahoc County community. 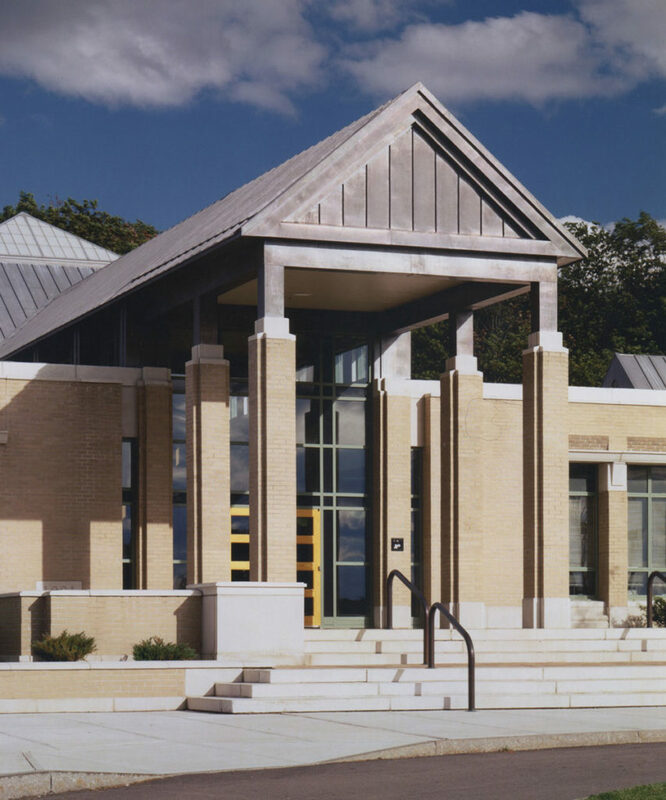 The facility houses a courtroom, hearing room, offices for the clerk, conference rooms, and an in-custody holding area. The single courtroom forms the heart of the building, its prominent pyramidal roof and skylight serving as the central organizing element of the design. Its symmetry, order, and scale strike a balance simplicity and stature. The central gabled portico and the flanking rows of masonry pilasters at each side clearly denote entrance to all who approach the building. 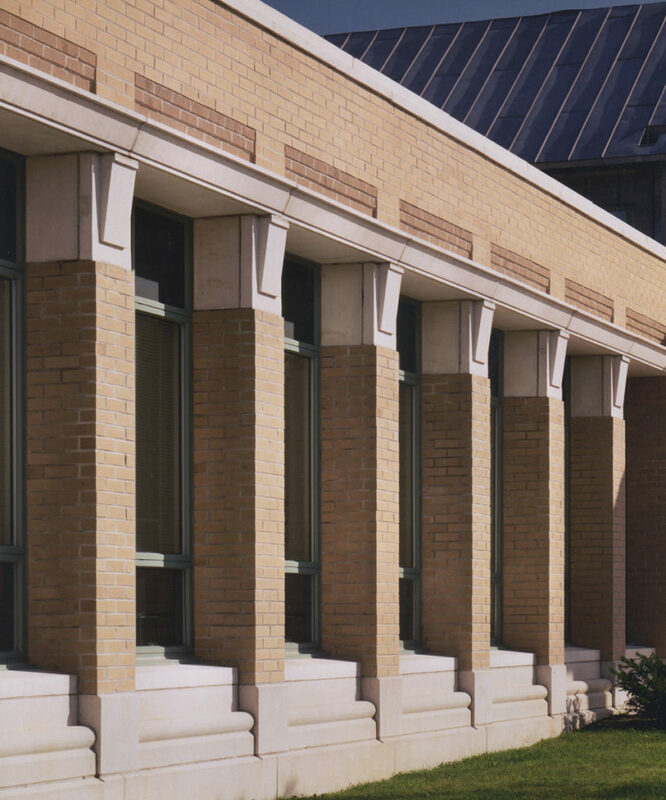 The buff colored brick masonry was selected for its lighter appearance and to distinguish to distinguish the courthouse from typical red brick buildings found in the area. The brick masonry pilasters at the exterior carry through to the interior where structural steel columns are clad in brick. Maple was selected for all interior woodwork to provide the warmth and light coloration. Within the courtroom, the steel structure was exposed in recognition of the area’s ship building tradition. The neighboring city of Bath is home to the Bath Iron Works shipyard.